India’s first & largest superbiking group of the country - Group Of Delhi’s Superbikers was started in 1998 by Dr. Arun Thareja. Today, they have a strength of 115 bike enthusiasts. With motorcycling & safety as their top priority, he really scrutinizes the applicants before inducting them into the group. 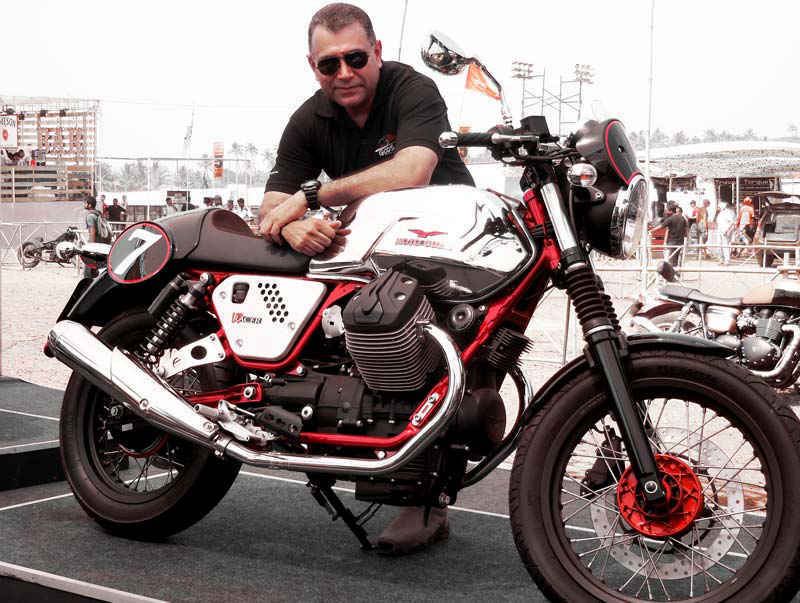 We take a pit stop with Dr. Arun to know more about the spirit of the club, its wonderful members & the extreme love they have for their machines. Could you tell us a little about G.O.D.S? What was the main inspiration/motto behind its conception? My fascinating journey with motorcycles started in the year 1984 when I just completed my MBBS & Yamaha came out with the gorgeous RD350. It was love at first sight & the starting of my life in a way. The Yamaha & the Kawasaki 440 LTD taught me a lot in terms of maintenance in those DIY days without the internet, spares or good mechanics. From 1984 to 1998 it was a solo journey until I met Mr. Rais Mohammed, another rare superbike owner in Delhi and so began the journey leading to the formation of GODS - Group Of Delhi’s Superbikers. After riding solo for so many years, riding with another like minded person was a revelation and it was then when I decided to induct more such like minded members. That’s how the group was formed, no inspiration as such but my burning desire to collect mature superbike riders together in one group & to enjoy this wonderful passion together. Safety being the top priority, I kept a strict selection criteria from the beginning which we follow till today - minimum age of 25 years, minimum bike of 600cc, minimum 1 year riding experience & finally vetting the educational & professional background. Which are the different bikes that you ride? Is there an average number of kilometers that you ride every month? 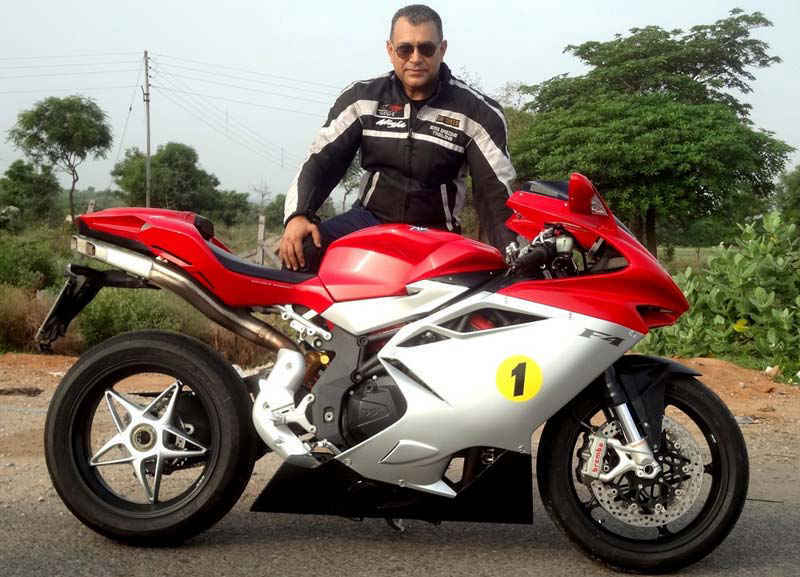 I have 6 bikes including 4 superbikes which I ride regularly. The Kawasaki Ninja ZX10R, Ninja 12R, Ninja 14R, Honda CB1000R, Yamaha RD350 & The KTM Duke 390. The average number of kms every month would be around 1000 to 1500. There are the routine Sunday morning rides with breakfast which have been happening since 1998. Apart from that, we always do one extreme outstation trip a year spanning 10-12 days & it generally includes Leh/Ladakh, Spiti Valley, Sach Pass etc. Last year in September, 37 of GODS riders rode across North Thailand. Additionally, almost twice a month there is some event happening in the city where GODS are invited e.g. 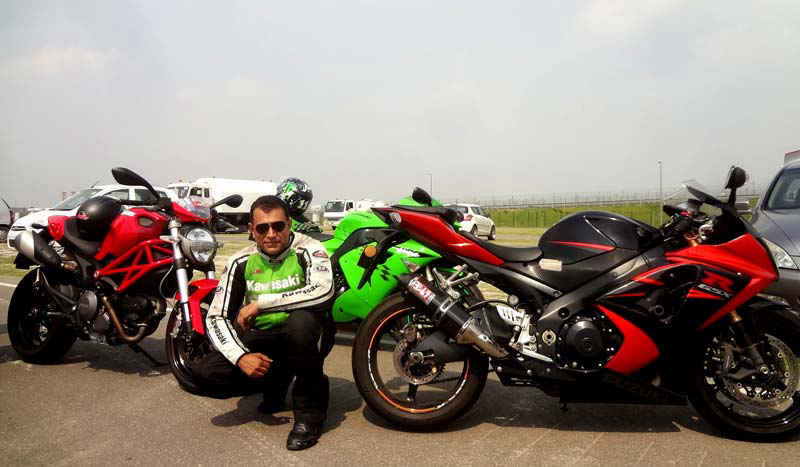 the recently concluded JK Tyre Championships at the Buddh International Circuit, Noida, where GODS occupied all the 3 podium positions and clocking the best times in the country. How often do you meet? What do you do when you meet? The group meets every Sunday morning & this has been going on since 1998 when the group was formed! We do a combined ride spanning around 200 kms & have breakfast at our favourite places on the highway or in the city depending on the route. We use this opportunity to discuss the group’s future plans and anything & everything related to motorcycles in general. An interesting anecdote that you encountered on one of your escapades? The most amusing story took place in 2009 when our senior member, Captain Vineet Sharma, a pilot by profession, had to rush back from Leh alone in the evening to Delhi because of an emergency. He started off from Leh at 5 PM and was in Delhi after one & a half days (normally it takes 3 days). He went non-stop with hardly any sleep, crossing the most difficult terrain in the night, going down in rain & slush in Drass (one of the coldest places in the world) but finally coming out triumphant. His grit, stamina & extreme love for riding is always talked about and serves as an inspiration to the rest of us. What is the biggest challenge you face as a founder of the community? Thankfully, I have not faced too many challenges in managing the group because of the trust & faith they have shown in me. They believe that I can never guide us in a wrong manner and I adore and respect them for that. It’s been 16 years now and there has never been one single major fight in the group, disagreements definitely, but all sorted it out in a matured & civilized way. The only challenge I face, which I love, is planning & executing outstation trips for such a huge group. But everybody being sensible and mature make my task easier. One challenge we face as a group is the induction of the right people in our community, since I keep getting 2 to 3 requests every week for joining. I sit down with 3 to 4 senior members & then we all decide on the selection keeping in mind the group&apos;s ethos & credos. What according to you makes Delhi, ‘So Delhi’? There&apos;s only one thing that makes Delhi, ‘So Delhi’ - its openness. Despite the polluted and clogged roads we still have one of the best roads for riding, especially if we get up at 5 AM! Also, the winters of Delhi bring out the best of riding in you. In fact the most enjoyable riding season starts from October until March - 6 months of riding nirvana! Top 5 meeting spots for G.O.D.S in Delhi? One misconception people have about riding bikes in Delhi? 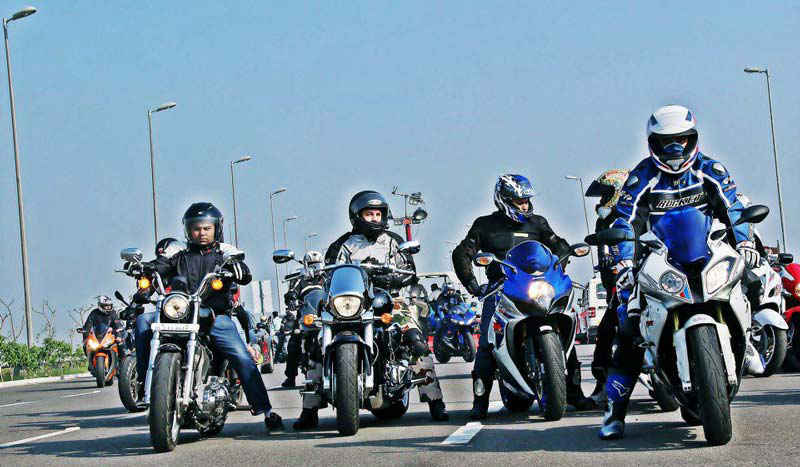 One of the main misconceptions people have about riding in Delhi is that all bikers are hooligans. They are not entirely wrong also but I have seen a lot of change in this regard. Many bikers are now totally geared up & ride very sensibly but sadly I still see many irresponsible bikers doing stunts on public roads & endangering their own lives as well as that of others around them. We still have a long way to go but the scenario is definitely changing for the better. G.O.D.S favourite biking trip till date? What is the most challenging aspect when taking a biking trip together? There are so many amazing trips which we have done over the last 16 years & its very tough to pick out one but for the sheer magnitude I would say the GODS trip to north Thailand in 2013 was one of the best. 37 of us rode for 7 days in one of the most stunning places in the world, starting from Chiang Mai in the north & going up all the way to the golden triangle. The riders spanned over 5 kms in formation & it was a record of sorts to have 37 riders together on an international trip. The most challenging aspect is to keep everybody safe on any such trips & that is the reason the riding gear is a must & so is formation riding. It is the responsibility of the leader & the sweeper to make sure nothing goes wrong and obviously the maturity of all the riders is first & foremost. Any advice for all the Delhi Bikers out there?